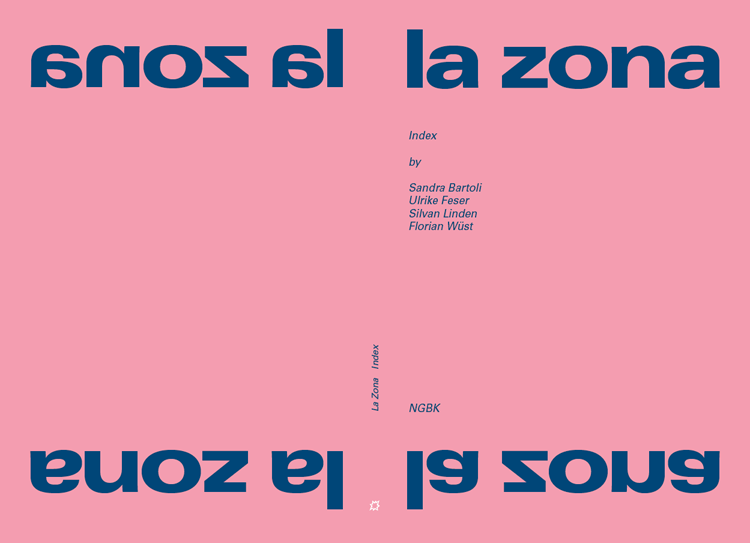 La Zona / Index is a publication produced as a supplement to the eponymous exhibition at the nGbK Berlin. The book explores different categories of “zone”: contaminated, decontaminated, post-contaminated, exploited, protected and ephemeral. The initial reference is the zone in the novel Roadside Picnic by the Strugatzky brothers and in Andrei Tarkovsky’s film Stalker – a territory that is at once enclosed and abandoned, deadly and healing, unpredictable, and always changing. La Zona / Index is a lexicon that freely associates aspects of “the frontal attack to all conditions of life” (M. Hauffen, 2012) and constructs a science fiction narrative out of the polymorphic reality of the “zone” and the fractured idea of progress and enlightenment. Dangerous and remote, deterring and attractive as the zone can be, it is a permanent part of our living environment and imaginary world.